Hey, all! 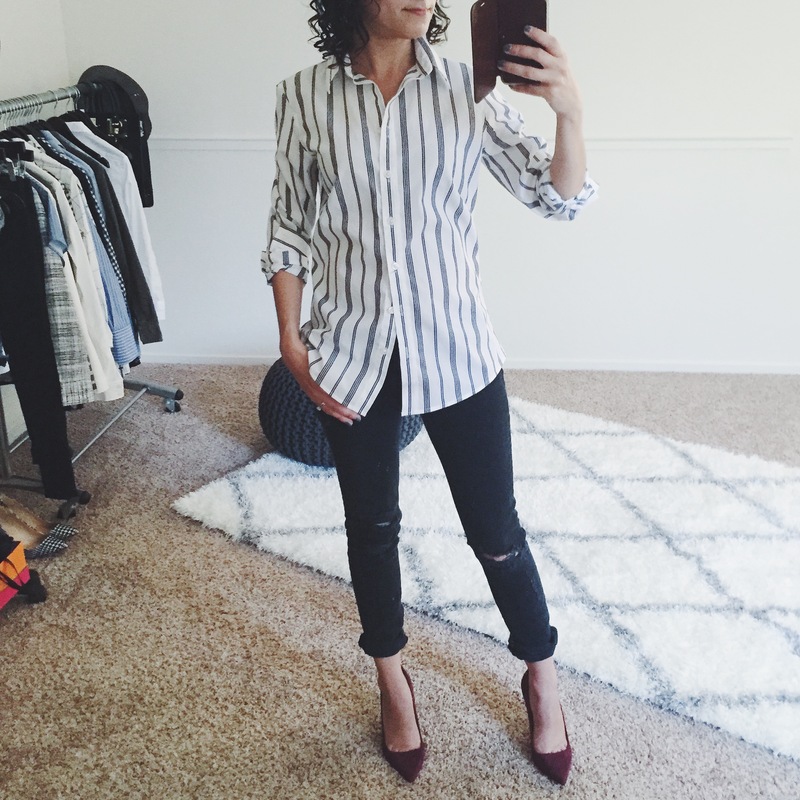 As requested by some of you on Instagram, I added the Everlane Italian GoWeave Classic Blazer to my last order to see what it was about. I opted for the Italian GoWeave Classic style over the Oversized style because I don’t tend to like oversized blazer silhouettes on my frame, even though I think I would have preferred that Grey Herringbone. Instead, I figured I’d have the most luck with the slimmer Classic, and opted for what I thought was the next best color, the rich military green called “Surplus”. 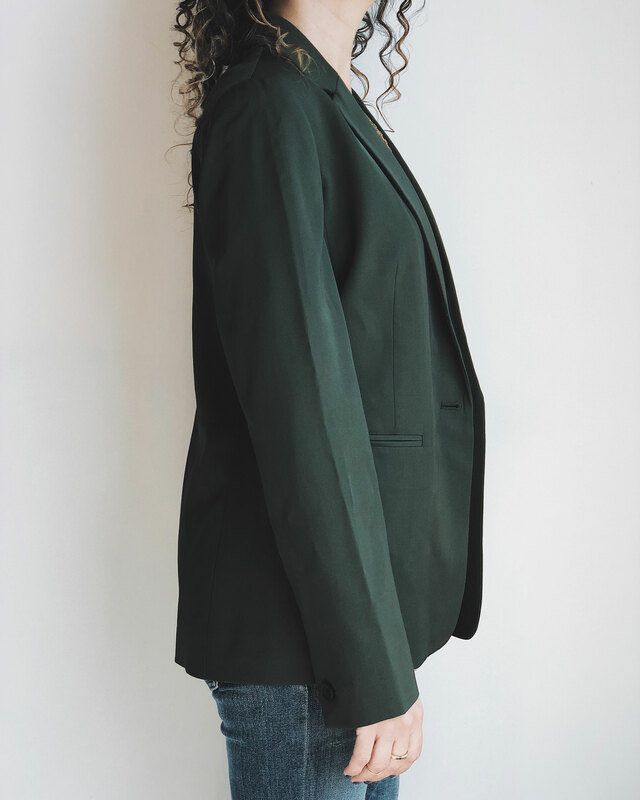 I’m wearing the Everlane Italian GoWeave Classic Blazer in “Surplus”, size 00. As always, my measurements for comparison can be found here. 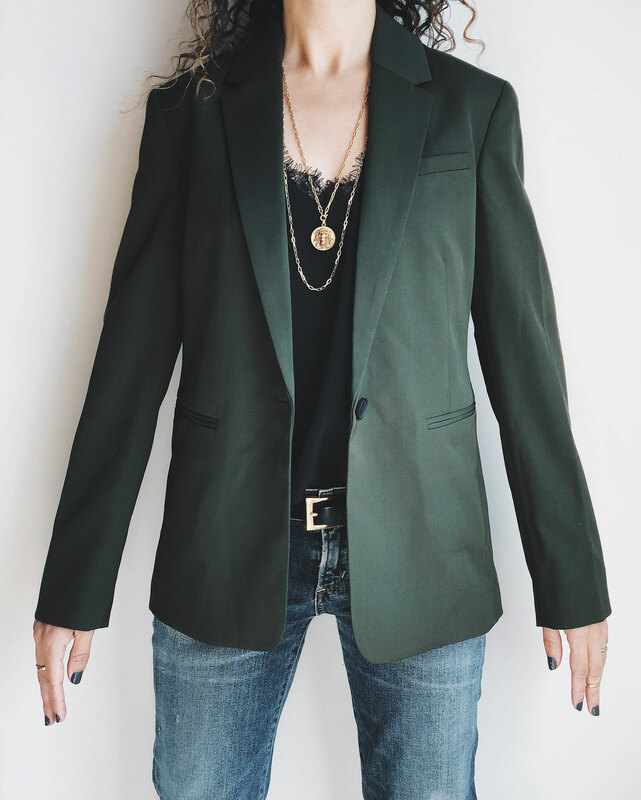 STYLE :: I actually really like the classic style and details of this blazer. 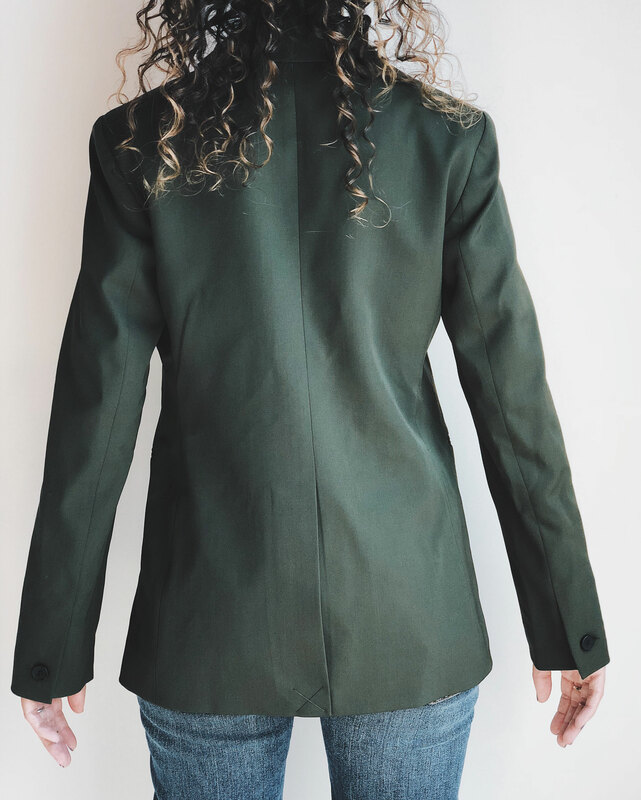 Pockets are always important to me when it comes to my blazers, and I’m happy to see not only the usual two side pockets but a nicely sized chest pocket as well (perfect for keeping your sunglasses safe). Another nice surprise is this blazer has an inside pocket which I really appreciate. I usually carry a small card case for my ID (currently using this one from Everlane. This is one I’d pick up now. This one is cool.) and important credit cards, which I like to keep in these handy pockets when available. On the black and navy colors, the buttons match the fabric, but on the surplus, the black buttons add a nice detail that’s still neutral and not distracting. 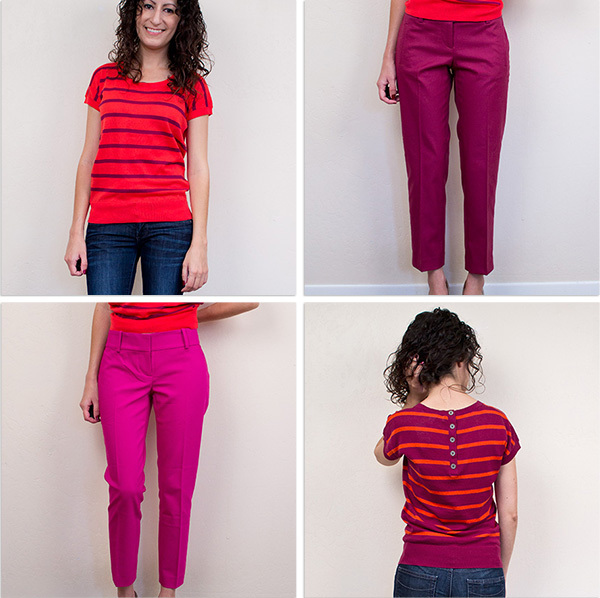 FIT :: Given that the fabric felt more like that of a soft, drapey, synthetic, the fit felt that way too. The fabric lacked structure, which came out in the fit. I felt it just hung, which really isn’t my style. And even though this was the slimmest fit, the sizing was still oversized on my frame. The shoulder is just ever so slightly drooping, the sleeve is a tad wide, and the body just didn’t have any shape. 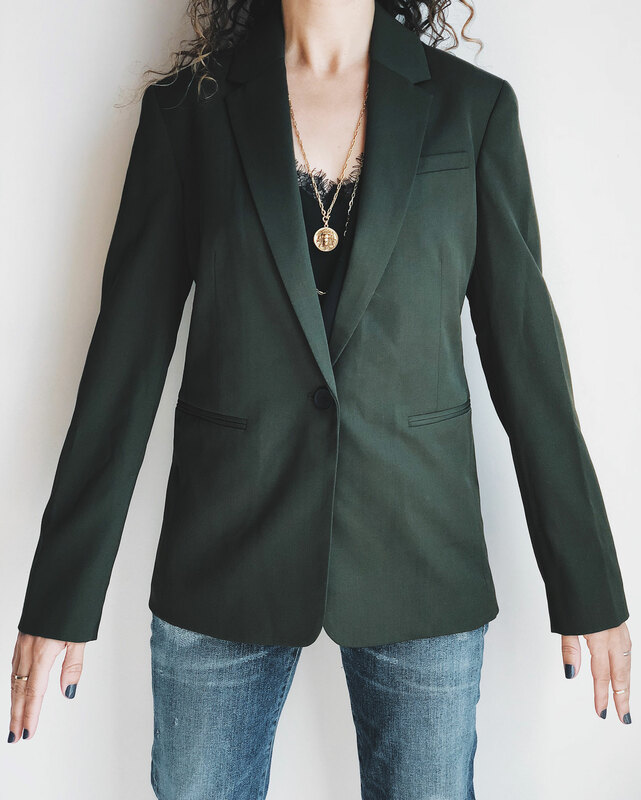 VERDICT :: This blazer just isn’t for me and will be getting returned. I prefer a more structured fabric and fitted silhouette, neither of which this blazer had in store for me. 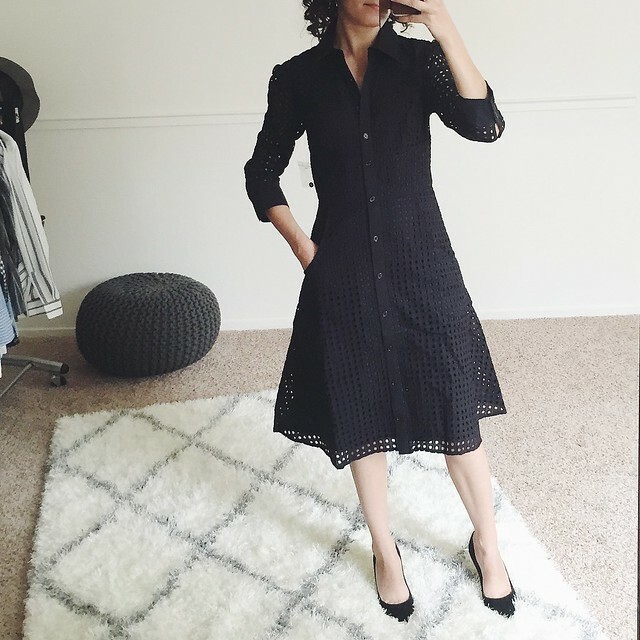 However, the color and pocket details make this a great piece especially at this price point, and I would recommend to someone looking for a nice classic in a drapey, relaxed silhouette. The reviews on the Everlane site are glowing, so it’s obviously a great choice. I can’t express enough love for your stunning Leo pendant. Is it vintage? What’s the story with it? So sublime.